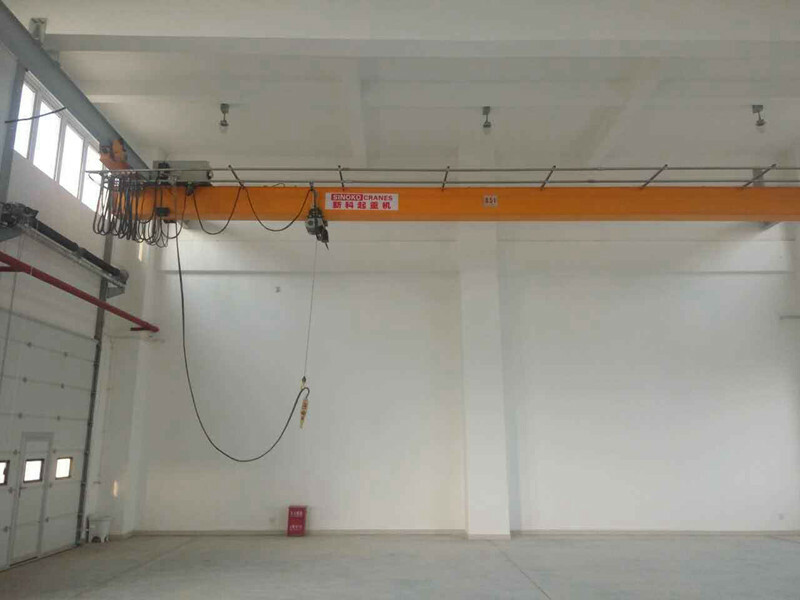 European single-girder Monorail Overhead Crane consists of hoisting mechanism (wire rope electric hoist and other structures), main beam, end beam, electric control system, etc. 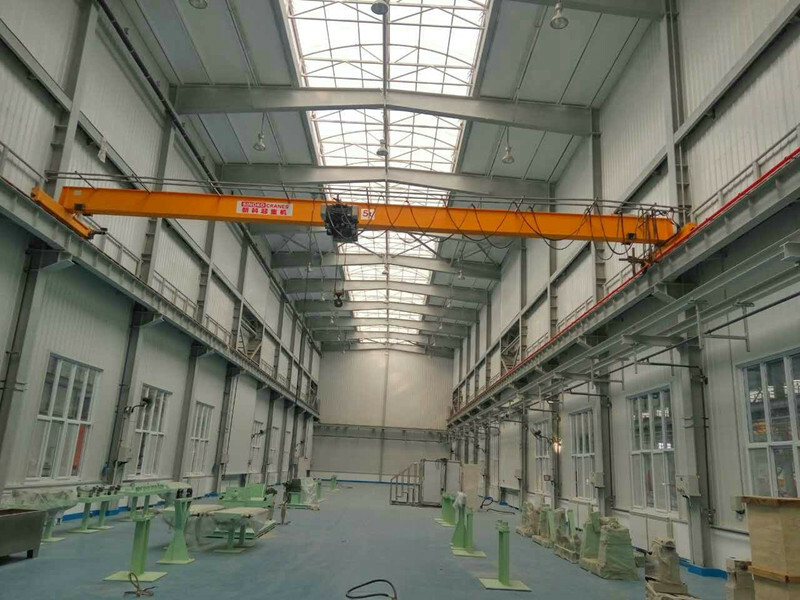 European crane has low height, small size, light weight, small wheel pressure and humanity. 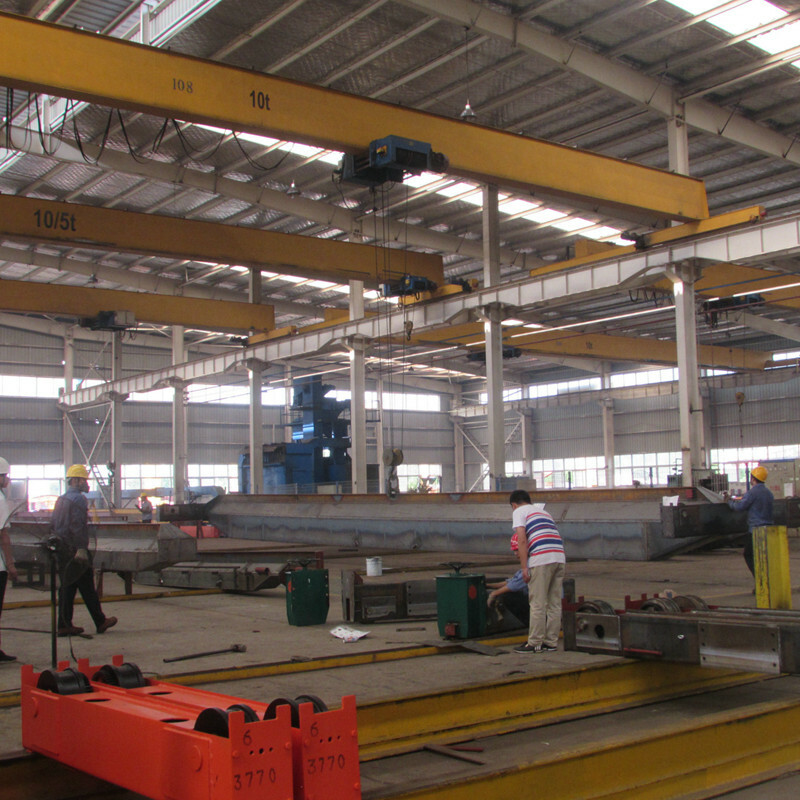 The single-girder monorail suspension cranes in Europe are composed of lifting mechanisms (wire rope hoists and other structures), main beams, end beams, and electronic control systems. The height of European cranes is small, light weight, small wheel pressure and humanized. This design and many other advantages are a new generation of innovative products, superior performance, compact structure, small net space size, and full use of the factory's effective space. Maximum lifting weight 20T, overall protection class IP55, Class F insulation, lifting mechanism using high-strength galvanized steel wire rope, hoisting frequency up to 2 million times, the operating mechanism is equipped with hard tooth reducer (HRC60) and squirrel-cage motor ( 60% ED), self-adjusting disc brakes, precise transmission gears, hardened tooth surfaces and abrasive treatment ensure long-term trouble-free operation. The perfect braking system greatly improves safety and reliability. High-performance brakes are dust-proof and self-adjusting for a safe life of more than 1 million cycles. All components are manufactured using European technical standards and have excellent performance and maintenance-free advantages. Ø The drum is made from high-quality seamless pipes and processed by numeral control CNC machine, after finish machining, the rope groove on drum works coordinately with rope guide to efficiently prevent rope loose and tangling. Ø Standard rope guide is processed from engineering plastics, with strong abrasion resistance and good self-lubricating performance. Shell of reduce uses aluminum alloy material, with light weight and corrosion resistance. Semi-grease lubricant in full sealed box gets all gears lubricated fully and should not be changed within the design circle for safety service. Each gear which gets the process of surface hardening and high-precision grinding ensures stable running of gear box. The hoisting mechanism motor equipped with double-disc electromagnetic brake. 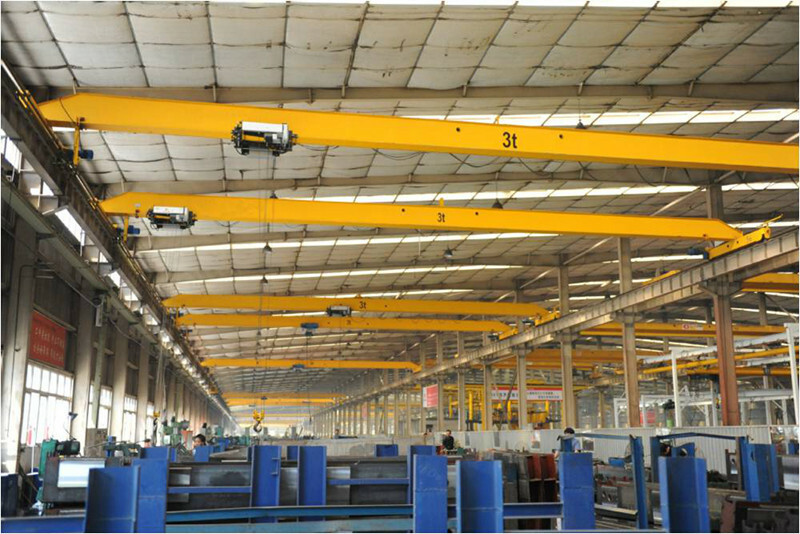 According to the safety regulations, SINOKO CRANE adopts the braking force of the brake higher than 1.8 times of the rated torque. Drive mechanism is sealed three in one type. Ø Maintenance free, long operating life.